Molly from CakeFYI is back with a delicious back to school treat... the homemade Hostess Cupcake! How delicious do these look?!! If your kids keep asking you to pack Hostess cupcakes in their lunchboxes, then this recipe is for you! 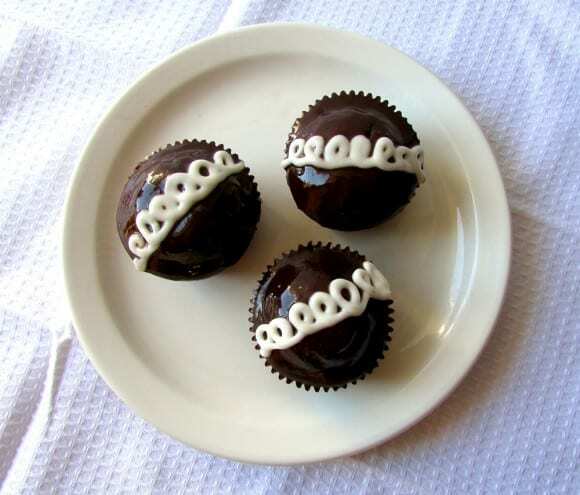 Try out these Homemade Hostess Cupcakes, and you’ll never pack store-bought again. They’re so simple and sweet, and even a little retro! Add egg, milk, oil, and vanilla and beat well. Pour in boiling water, and stir the batter until combined. Grease or line a cupcake pan. 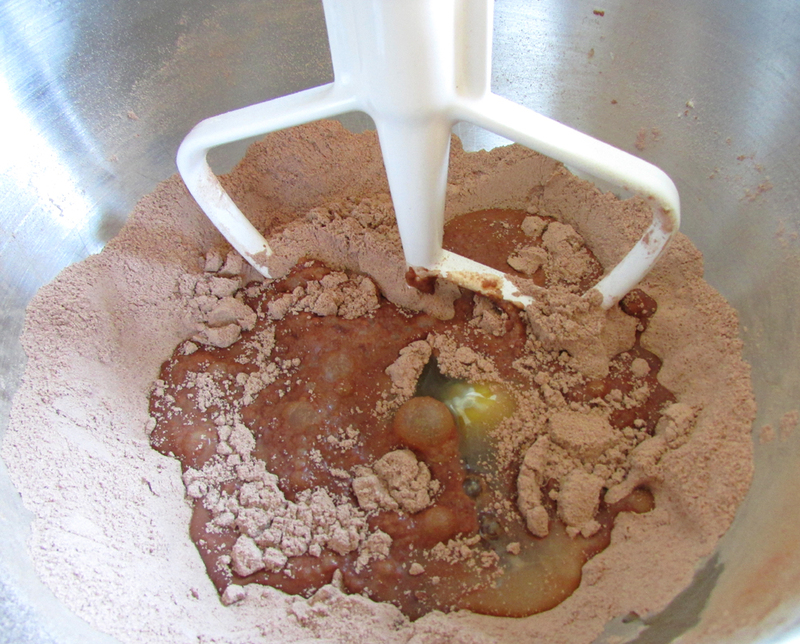 Using a ¼ measuring cup, pour batter into the pan. Bake for 20-22 minutes. Let cool completely. 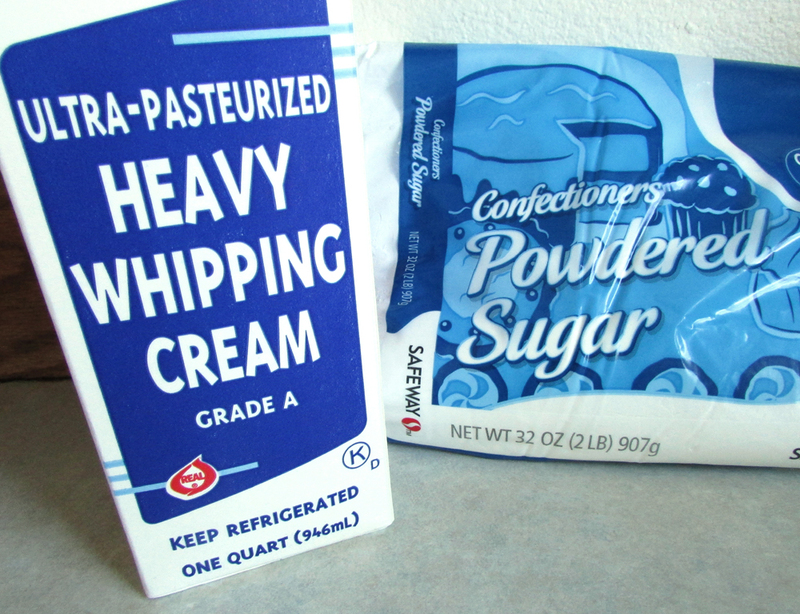 While cupcakes cool, prepare the Whipped Cream Filling. 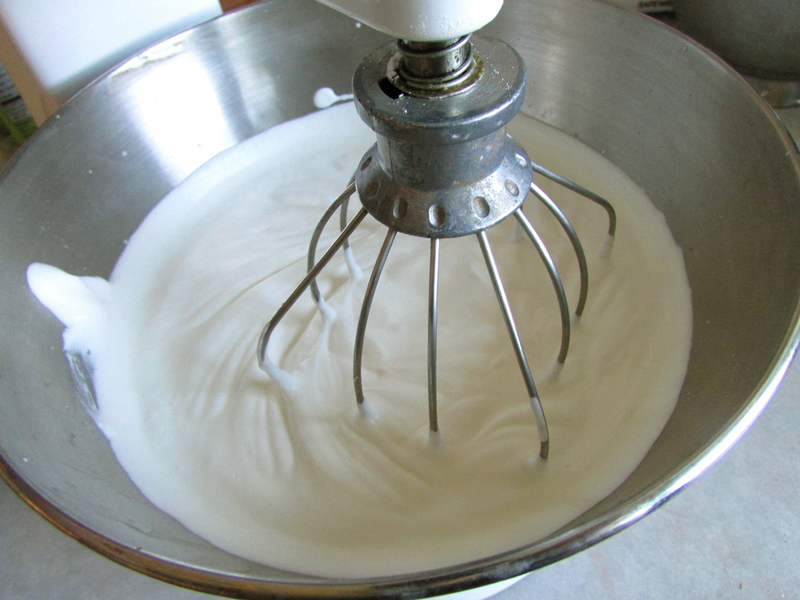 Pour the heavy whipping cream into the bowl of a stand mixer, fitted with the whisk attachment. Whisk on medium until stiff peaks form. 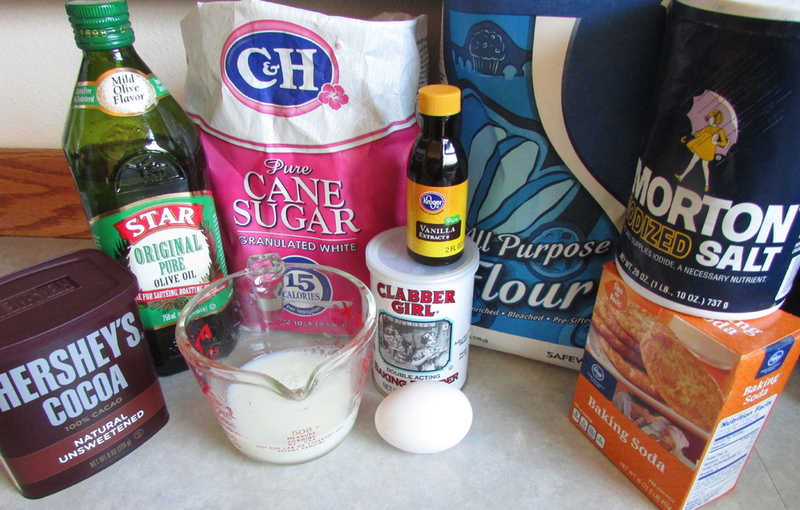 Whisk in vanilla and powdered sugar and mix thoroughly. 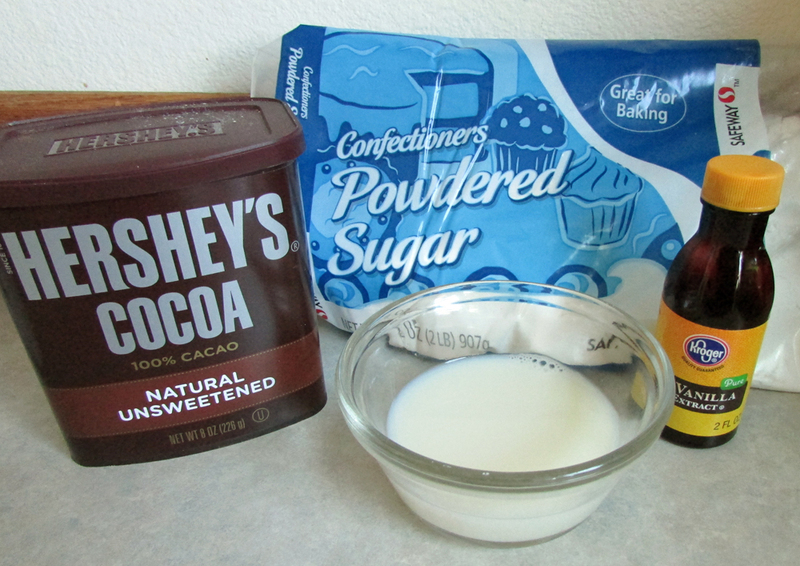 Once cupcakes have cooled, filled each cupcake with Whipped Cream Filling using a piping bag and round tip. 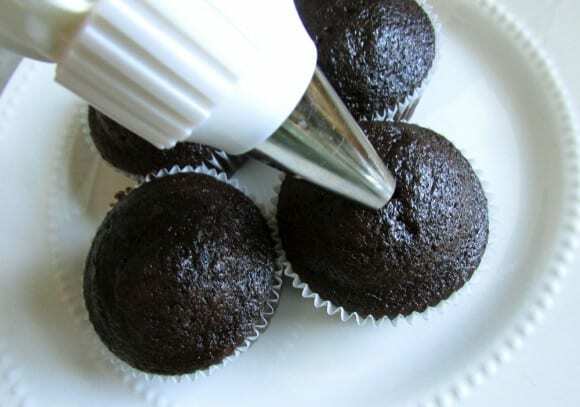 Push the tip into the cupcake, and squeeze to fill as you pull the tip out of the cupcake. Once filled, set cupcakes in freezer to set while preparing the Chocolate Glaze. 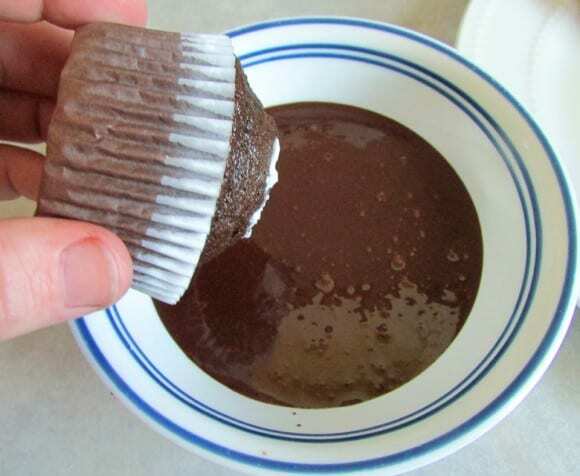 Dip each cupcake in Chocolate Glaze, swirling the cupcake to remove excess glaze. Allow to set in freezer. Once set, pipe icing loops on top of each cupcake. Incredible, Molly, thank you so much for creating these for us!! To learn more about Molly and read all about her baking adventures, check her out at CakeFYI. 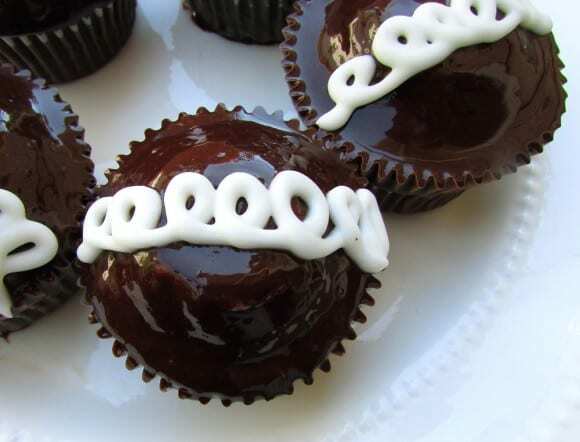 Molly from CakeFYI†is back with a delicious back to school treat... the homemade Hostess Cupcake! How delicious do these look?!! 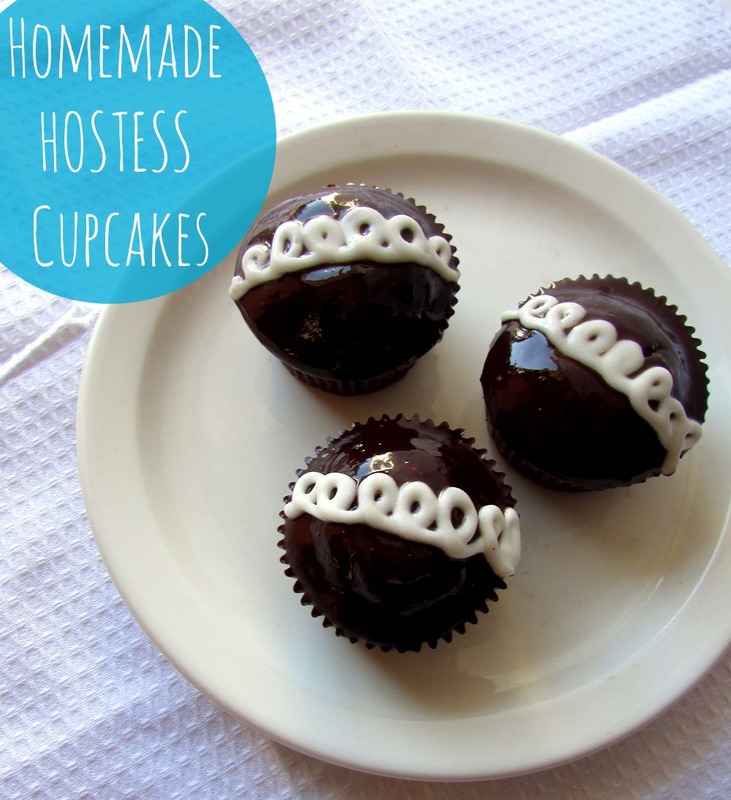 If your kids keep asking you to pack Hostess cupcakes in their lunchboxes, then this recipe is for you!†Try out these†Homemade Hostess Cupcakes, and youíll never pack store-bought again. Theyíre so simple and sweet, and even a little retro! Pour in boiling water, and stir the batter until combined. Grease or line a cupcake pan. 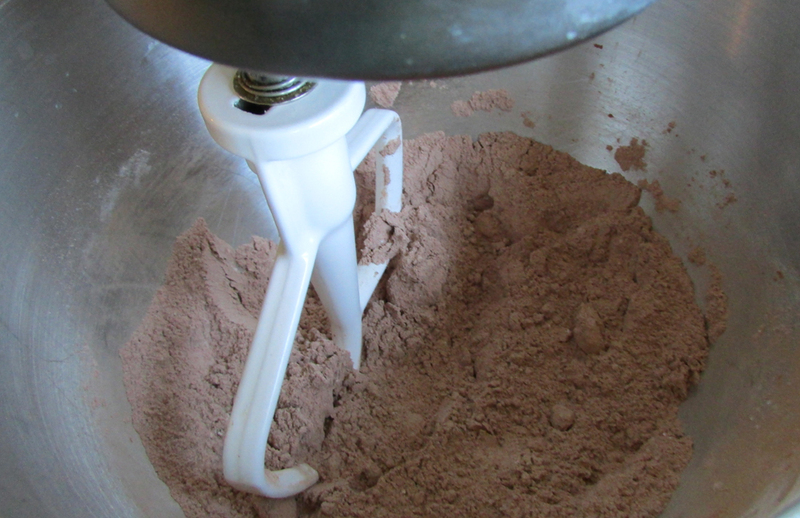 Using a º measuring cup, pour batter into the pan.